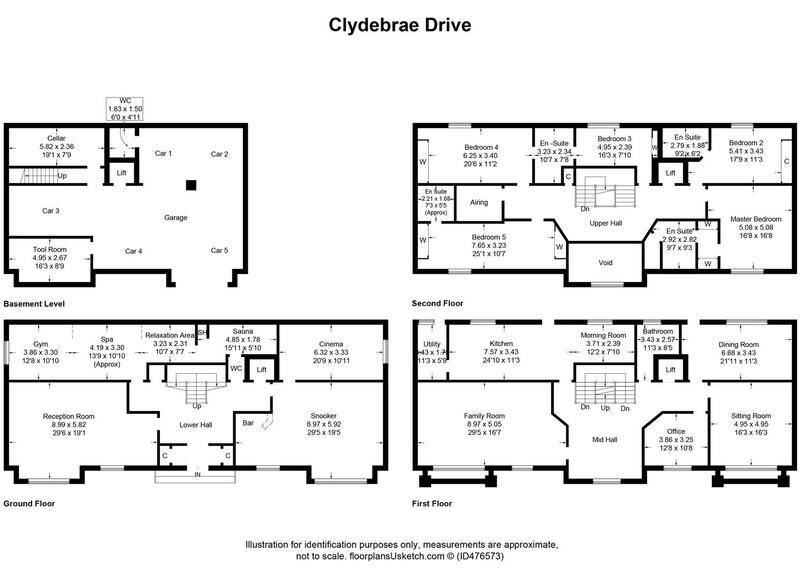 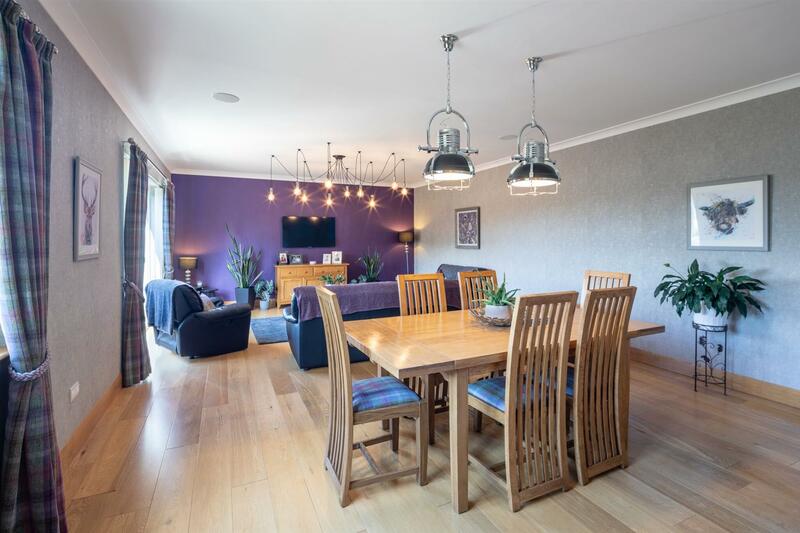 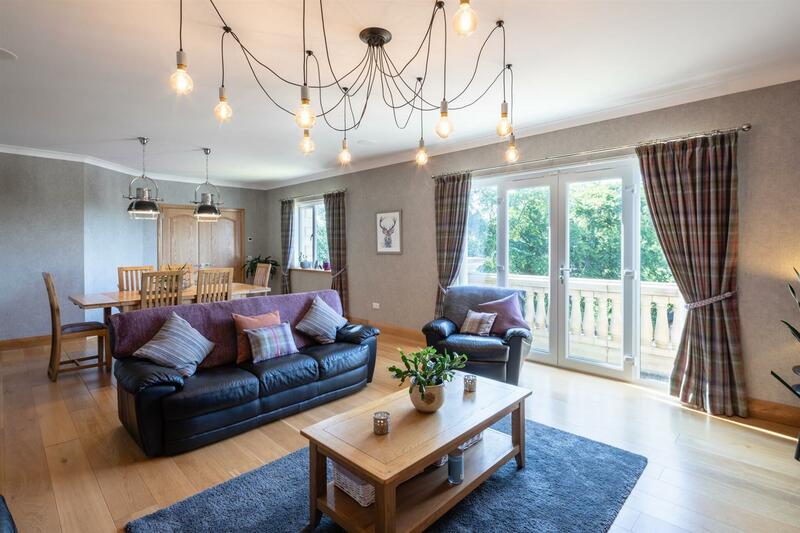 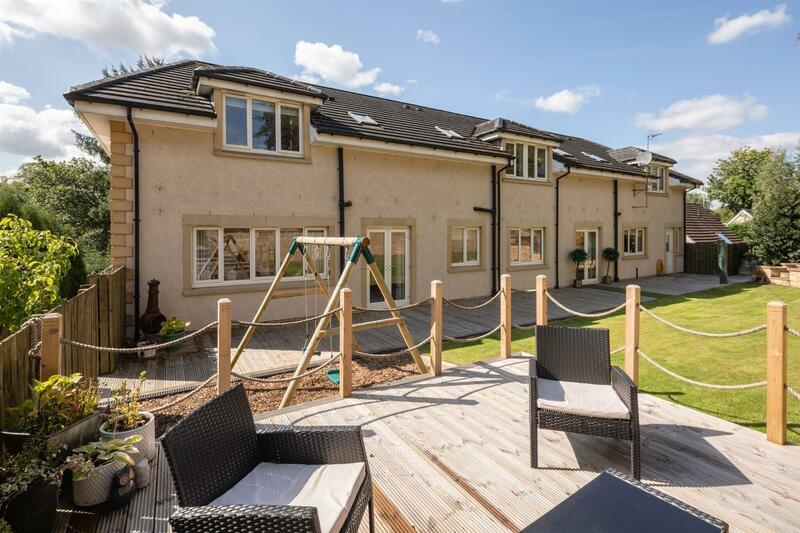 This large and beautifully finished modern detached villa sits at the end of a quiet cul-de-sac within one of Glasgows exclusive suburbs and enjoys lovely elevated views to the River Clyde and surrounding valley. 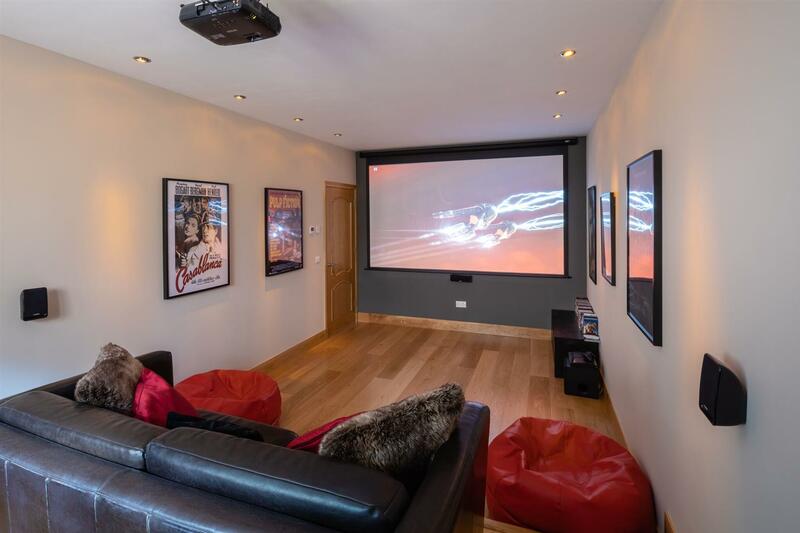 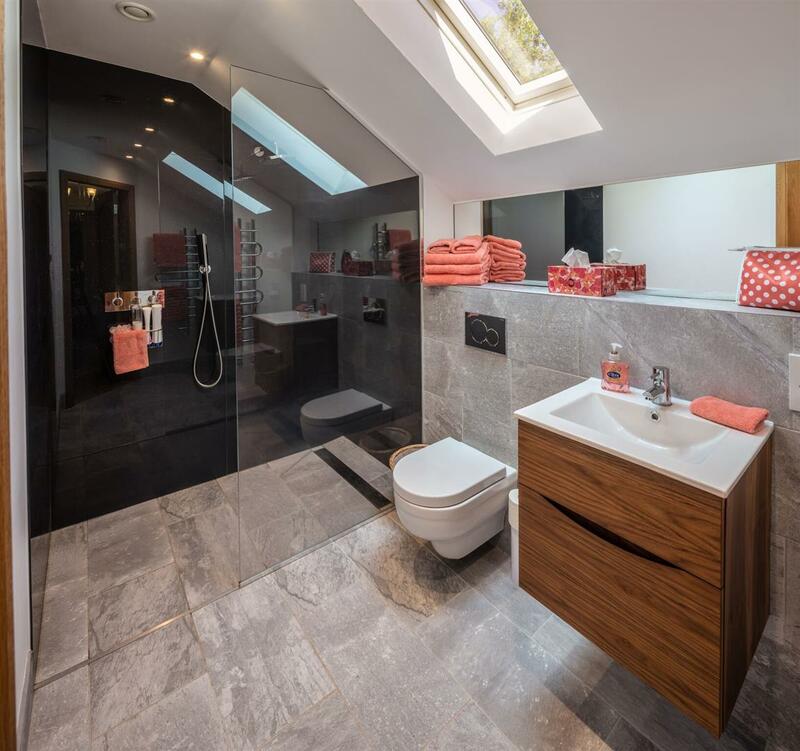 The property has been carefully and thoughtfully designed by its current owners who have created a great mix of excellent entertaining space, relaxation space and generous bedrooms which are all en-suite and finished to a particularly high standard. 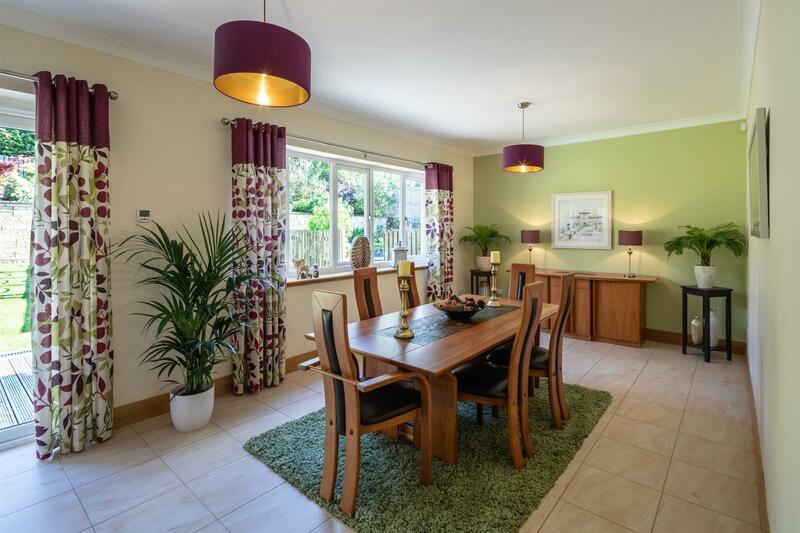 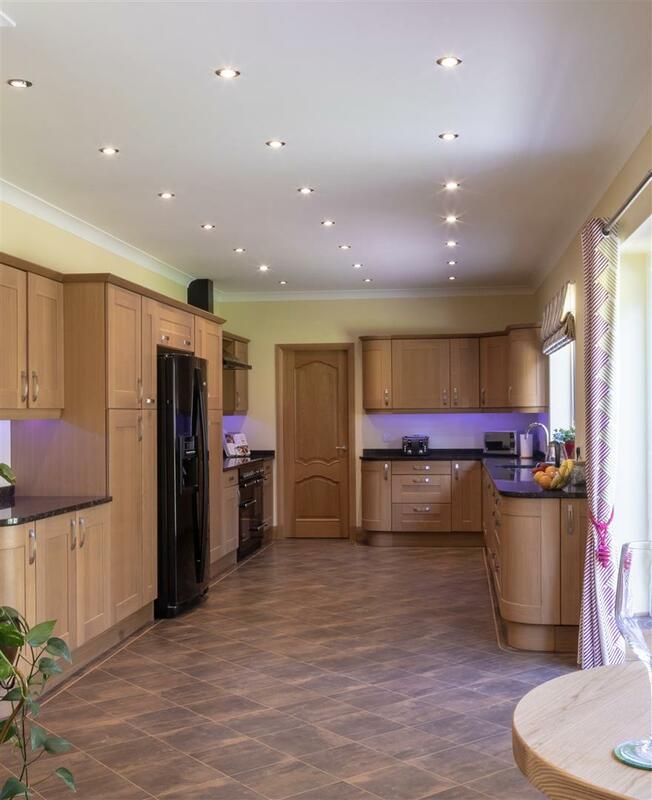 Formed over four levels, this impressive family home extends to circa 7493sq ft (incl garage) and features numerous modern economic elements including solar panels, lighting occupancy sensors, quality upvc double glazing, a modern gas central heating system and under floor heating throughout. 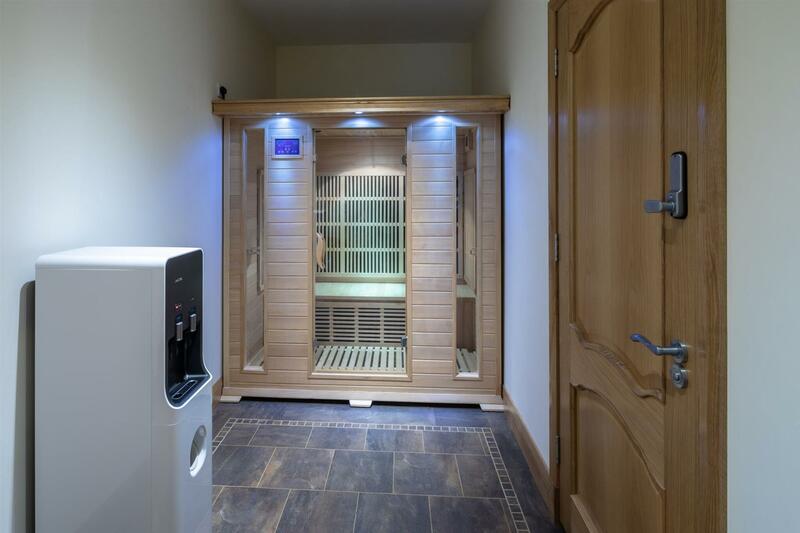 The Spa area has humidity controlled ventilation. 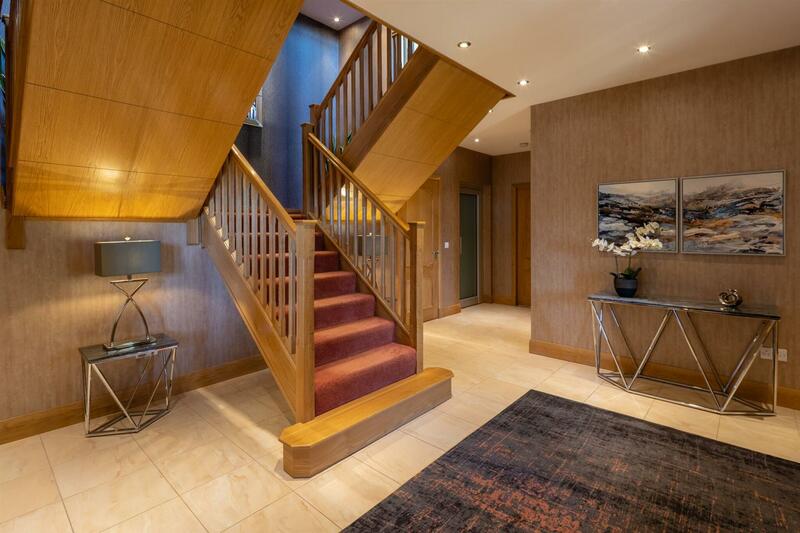 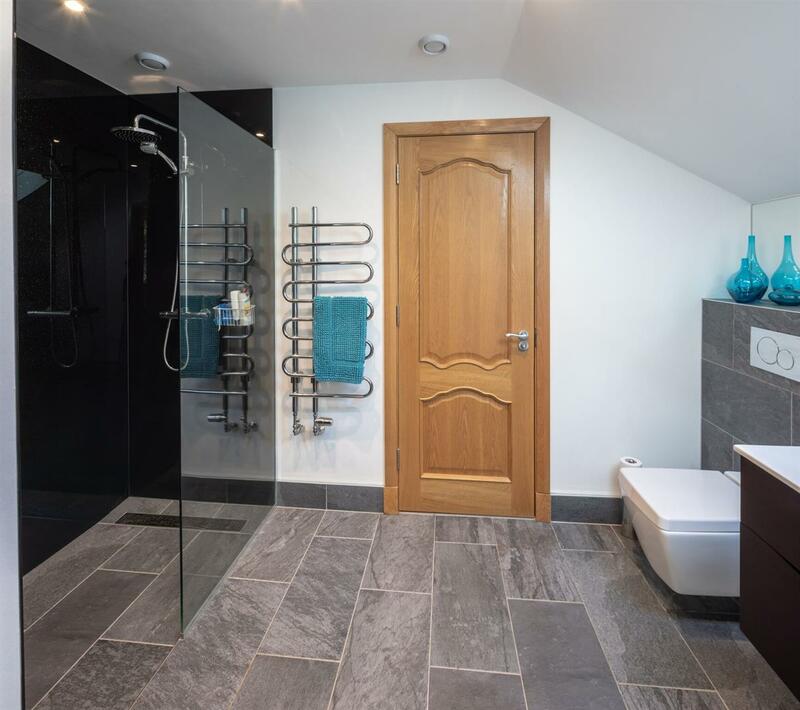 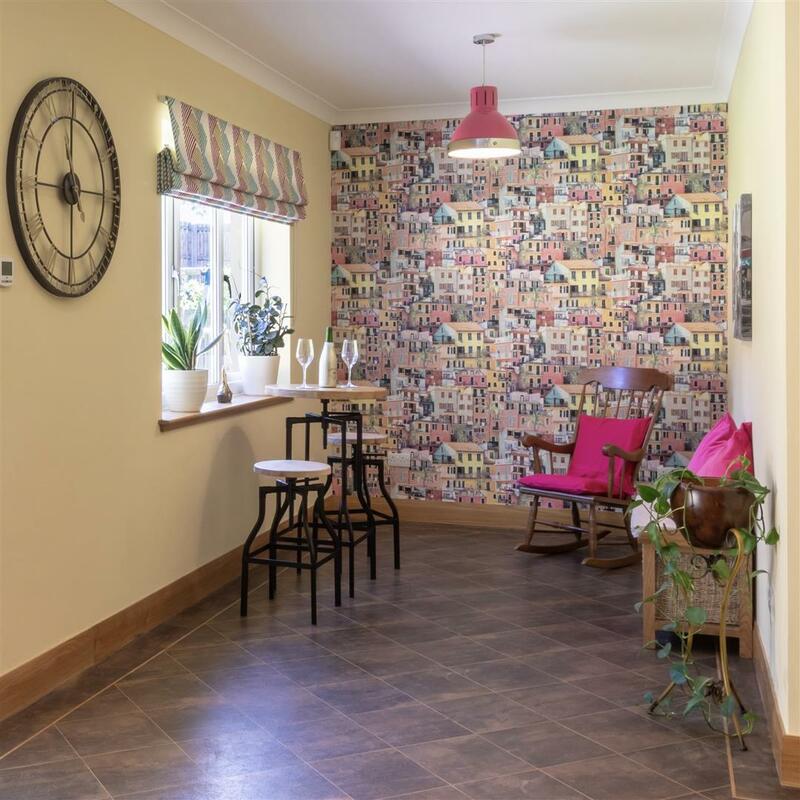 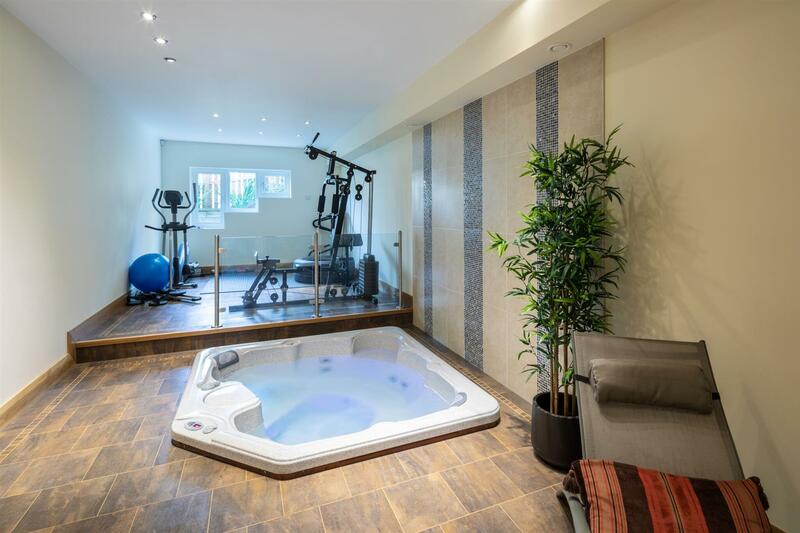 This home is one of only a few to have a lift which provides access to all floors. 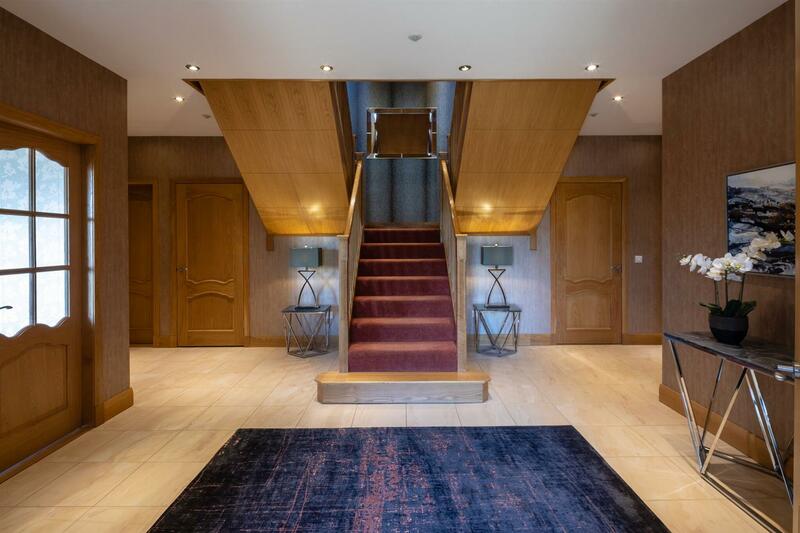 Starting on the basement level there is a five car garage, workshop, cellar and wc. 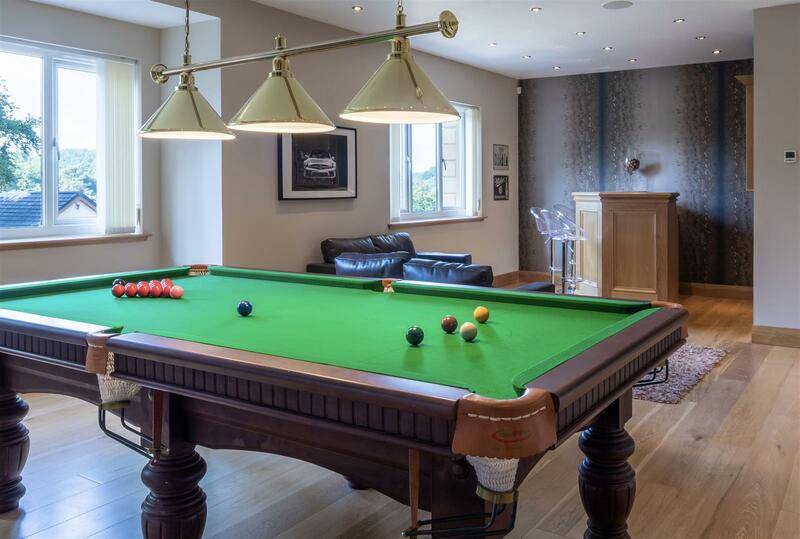 The ground floor is a dedicated entertainment floor and has an impressive hall, formal lounge, games room with bar, cinema room, wc and an extensive spa area with gym, jacuzzi, sauna and relaxation area. 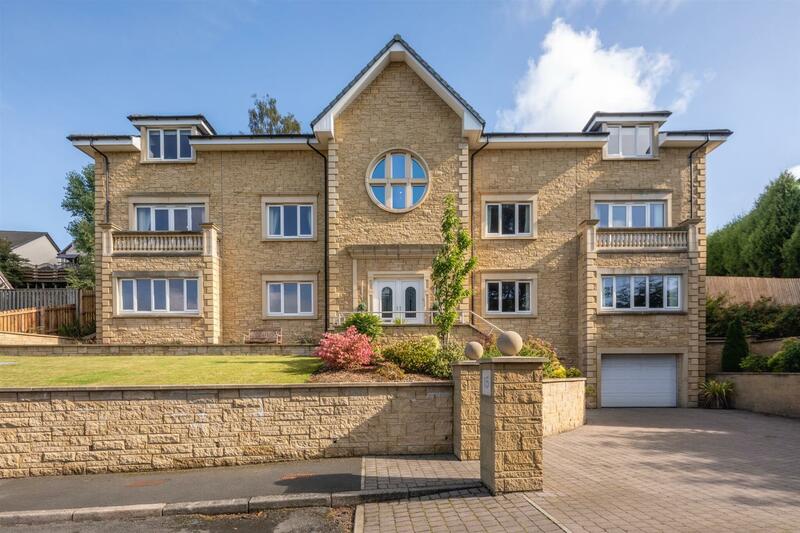 The 1st floor has a galleried landing with feature circular window, a modern oak kitchen with granite worktops and integrated appliances, morning area which is open plan to the kitchen, separate utility room, family lounge (with balcony), sitting room (with balcony), dining room, study and bathroom. 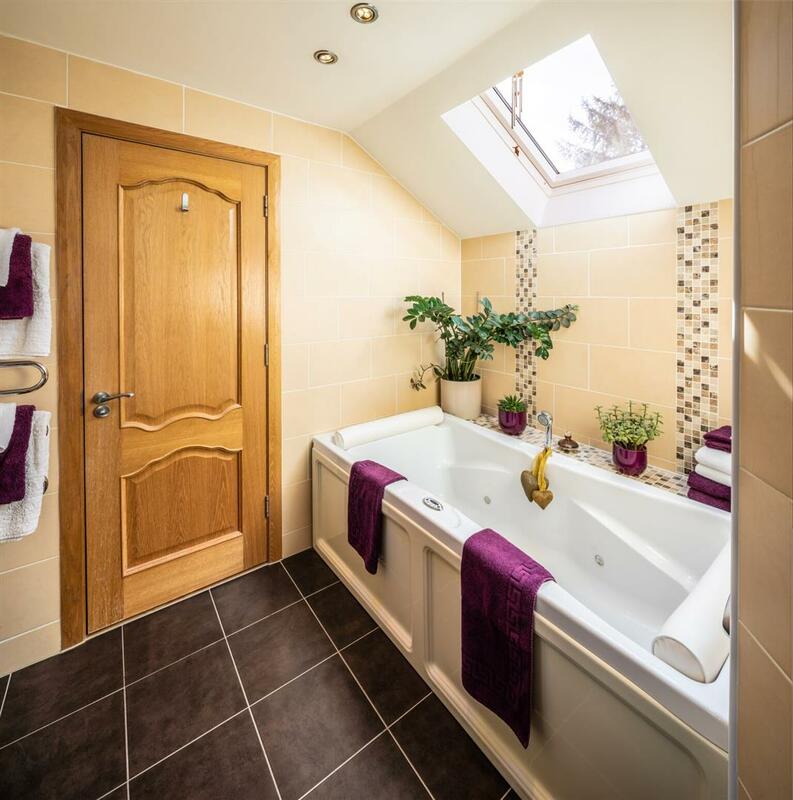 The 2nd floor has the five bedrooms which all have en-suites (bedrooms 3 & 4 sharing a Jack & Jill) whilst the master bedroom has a dressing area. 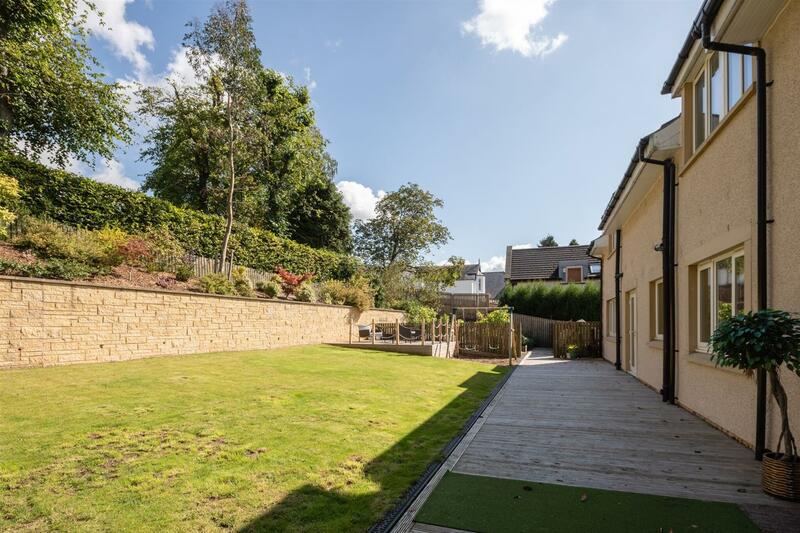 The gardens are large private and established with the front laid to lawn and with bedding plants, shrubs and a monoblock driveway for several cars. 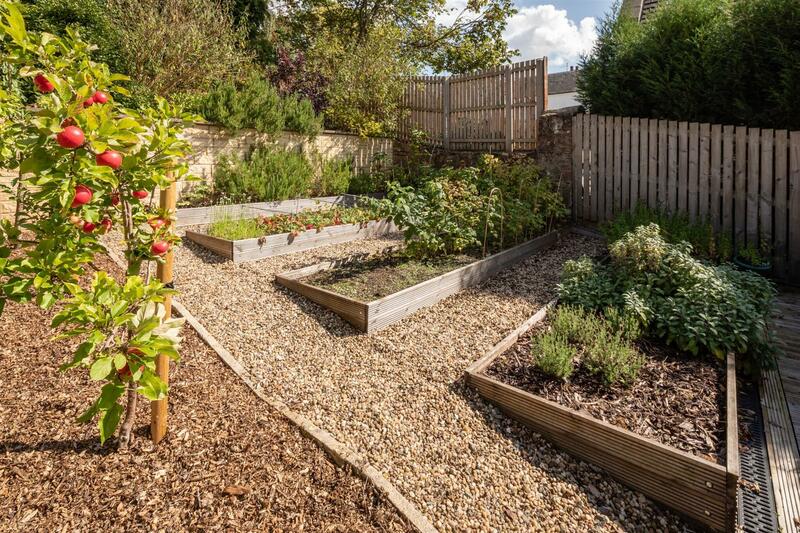 The enclosed rear garden has timber decking, a large lawn with shrubs and trees whilst there is a well stocked fruit and vegetable plot. 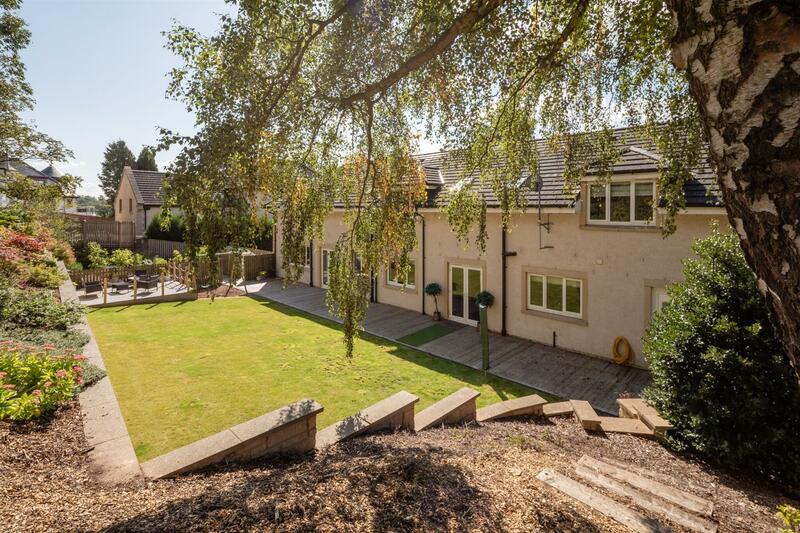 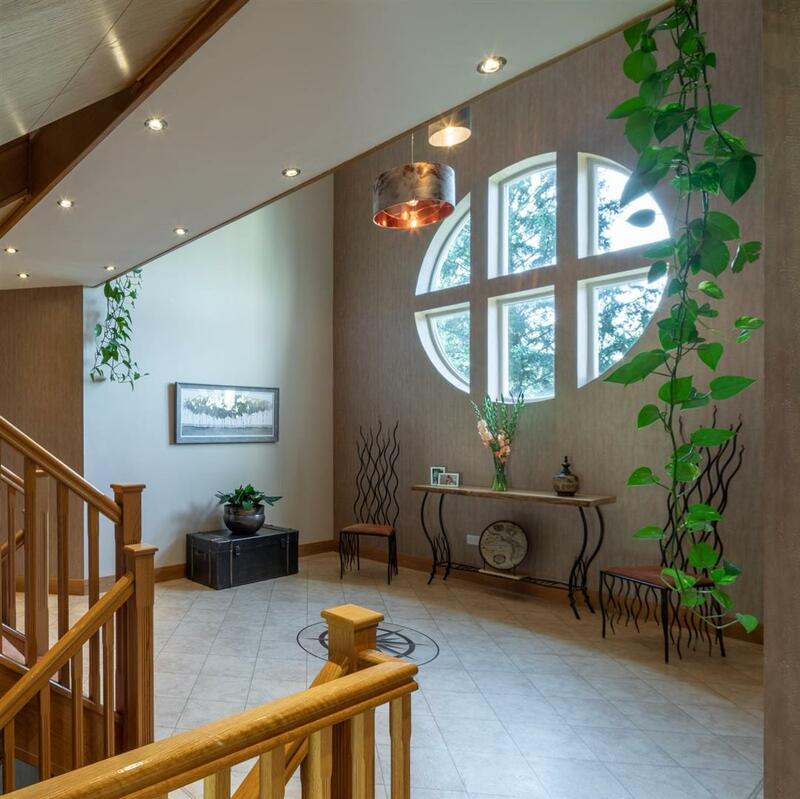 To appreciate this home along with its private setting and lovely views.